A recording is an audio copy of a court proceeding. Anyone can request recording. How do I obtain a recording? To obtain a recording, you must fill out the Request for Digital Recording form, available on the right. Mail the form to the Court with a check for $1.00. The court staff will burn the recording on to a CD, which you can pick up at the court. If you would like the recording mailed back to you, enclose a check for $1.00 plus postage with your form. Please call the Court first to ask what the postage cost will be. 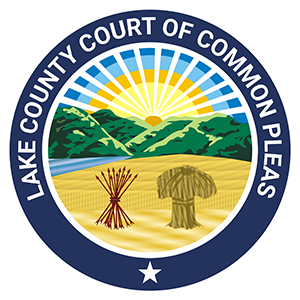 Make check out to Lake County Treasurer. How do I play the recording on my computer? To play the recording, you must download the software from BIS Digital, available here. Go to Support, then Software, and download the appropriate DCR Player for your system. This is a free download. A transcript is a written copy of a court proceeding. To obtain a transcript, you must first obtain a recording. Then, contact a certified court reporter who can transcribe the recording into written form. The Court does not employ a court reporter and does not cover the cost of transcribing. A certified court reporter must prepare and certify all transcripts filed with the Court. All transcripts must include an index.